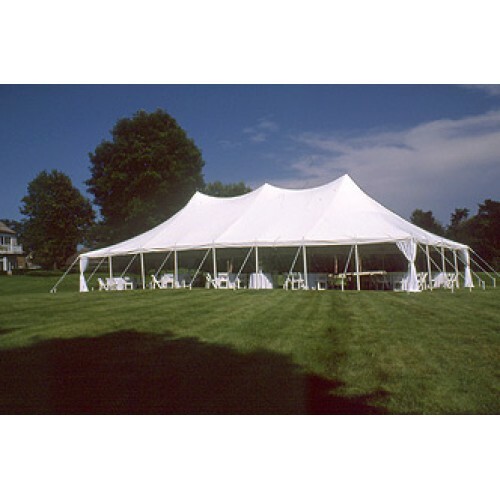 30' x 60' White & Yellow Staked Tent, includes 2 solid sides, additional sides and/or windows extra. Seats approx. 180. Available in White, White and Yellow.